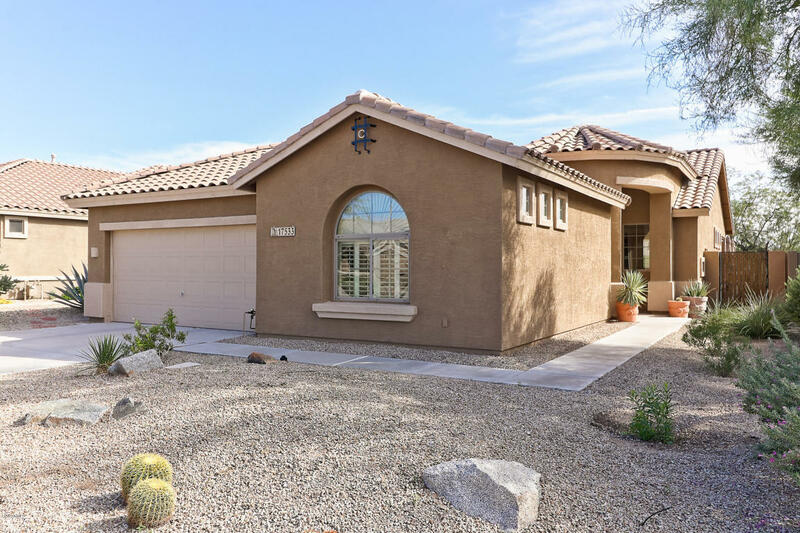 This 4 bedroom bungalow home is a Diamond in the Desert. Enjoy low maintenance landscape surrounding the pebble tech pool + water fall while enjoying the Built in BBQ with High top seating overlooking the scenic Mountain & Wash Views! Interior boasts many upgrades with emphasis on the travertine tile flooring & fireplace as you enter this well maintained home. Addl Upgrades: Entertainment wall in the Great Room, vaulted ceilings, plantation shutters, expanded laundry room + sink & recent exterior paint. Spacious bedrooms thru out with a Master bedroom overlooking the backyard views is truly beautiful sight. Located in Estrella, an award winning master planned community offers: 2 clubhouses, 2 gyms, 3 pools, champion golf course, 25 miles of hiking & more. CFD paid off, Easy to view!